Within just an hour of arriving on the banks of Lake Como I was already feeling relaxed and our Lake Como itinerary remained that way. Gone were the stresses of driving 3 hours from Bergamo airport on windy, narrow roads whilst dodging cars driving across both lanes, and dealing with an incompetent sat nav, and in stress’ place was a sense of calm. Perhaps it was the sound of the lake lapping gently at the rocks just outside our bedroom window, the sound of the birds tweeting away, or the lovely scent of wild jasmine floating into our room from outside. Whatever it was, I knew I didn’t want to leave. I spent five days in Lake Como, Italy and they were pretty lazy, not much adventure here, sorry! But sometimes even those of us who like to be constantly doing something need a good break and a chance to do nothing much. If you’d like ideas for a relaxing one week Lake Como itinerary then carry on ready. Where is Lake Como located? When is the best time to visit Lake Como? Looking for Lake Como tours from Milan? Want more Lake Como travel ideas? Lake Como (Lago di Como) is one of the best lakes in Italy. 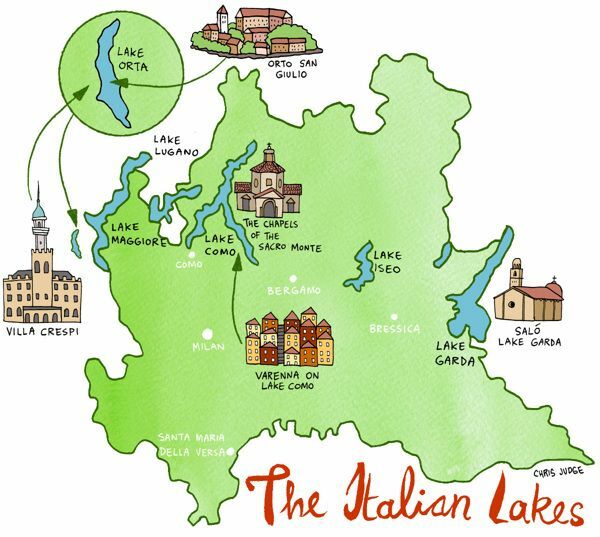 Because of this being generally accepted, it’s also one of the most popular lakes in the Italian Lake region. The lake is shaped like an upside down ‘Y’ and has three branches that meet at the picturesque town of Bellagio. Along the banks of the lake are stunning villas, mountains, celebrities and some great Italian food to be found! It’s believed that Ancient Roman couples used to clock here to escape the cities and feel rejuvenated in the fresh mountain air. Not much has changed then since you’ll undoubtedly see couples strolling through the cobbled streets, eating fresh pasta and cruising on small boats up and down the lake. It’s often referred to as “a playground of the rich” and the likes of George Clooney, Richard Branson and Sylvester Stallone have all owned properties on the banks of the lake. But that doesn’t mean it’s unaffordable. 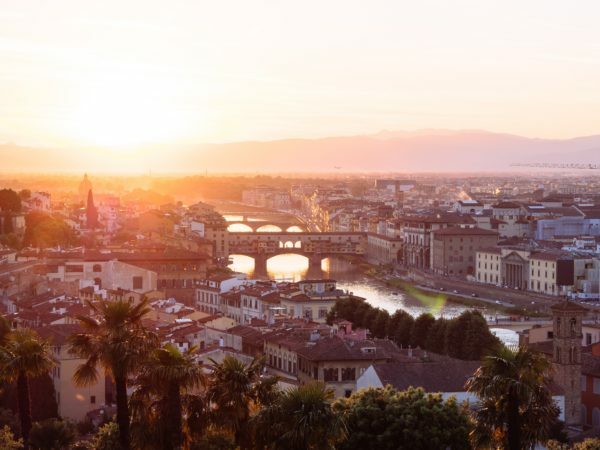 We found cheap accommodation and found the food and drinks to be half the price of what you’d expect to pay in other Italian tourist destinations such as Rome and Florence. Lake Como is the deepest Lake in Italy’s Lombardy region at about 410m deep. That also makes it one of the deepest in Europe! Lake Como is in northern Italy in the Lombardy region. It’s Italy’s third largest lake coming in behind Lake Garda and Lake Maggiore. Together, these Italian Lakes make up their own version of the Lake District; just with much better weather, arguably prettier scenery and better food. This area, and Lake Como, in particular, is known for its dramatic scenery what with it being situated at the foot of the Italian Alps. Lake Como is just 40km north of Milan which makes a Milan to Lake Como day trip a popular activity for visitors to the area. Lake Como is busiest during the summer season when water taxis and ferries can be seen zipping across the lake to take visitors from one lake town to another. 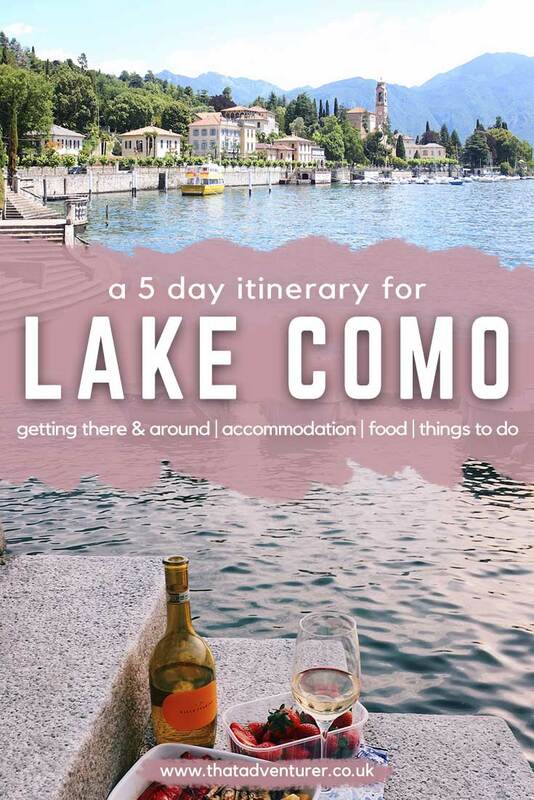 Como is also a popular weekend getaway for Milan locals so for that reason, it’s best to plan your Lake Como vacation over the weekdays. Lake Como in October and March make up the shoulder season here so spring and fall are great times to visit Lake Como for cheaper prices and smaller crowds. Lake Como in November to February is even quieter, almost eerily quiet! If you’re getting to Lake Como by flying then the nearest airports to Lake Como are in Milan. 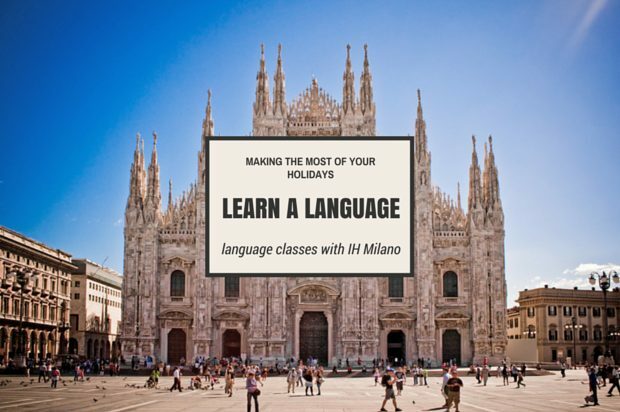 There are three airports in Milan: Milan Bergamo, Milan Malpensa and Milan Linate. We flew into Milan Bergamo which is about 1.5 hours drive away from Lake Como. If you’re flying with budget European airlines such as RyanAir this is probably the airport you’ll fly into. For cheap flights to Milan check out Skyscanner – it never lets me down! Once you’ve touched down in Milan you’ll need to make your way to Lake Como. If you’re spending most of your holiday in Lake Como and the surrounding area I’d highly recommend hiring a car. Whilst you can get around the towns on the banks of Como and there’s a good train from Lake Como to Milan, it’s nice to have a bit more freedom should you desire and it’s handy for getting to and from restaurants at night if you’re staying a little outside of the towns by the lake like my Mum and I did. I suggest checking out RentalCars.com for an easy way to compare prices. Driving between Milan and Lake Como is pretty easy in terms of directions but you’ll want to pay attention to the roads. Italians haven’t exactly got the best reputation when it comes to safe driving. And, if you read my opening paragraph, you’ll see it wasn’t exactly the calmest journey. I’m used to narrow roads coming from the UK countryside, but roads flanked by water and drivings driving super fast in the middle of the road is something you’ll have to get used to if driving between Milan and Lake Como. You’ll take the A9/E35 and SS340 roads between these two places but I’d recommend getting some data on your phone to access Google Maps or hiring a Satnav from your car rental. Getting the train to Lake Como from Milan is pretty easy and the leave regularly. You can get the train from Milano Centrale to Varenna, Italy the easiest Lake Como train station to access. The trains that go through Varenna will be headed to Sondrio or Tirano and they usually leave at 20 minutes past the hour, every hour. Omio makes it super easy to book train tickets in advance and shows you all the train times too. You’ll need to validate your train ticket before getting on the train. This is usually done by stamping it in a little machine by the platforms. Also, make sure to get off at Varenna quickly as otherwise, you’ll find yourself on the way to Switzerland! 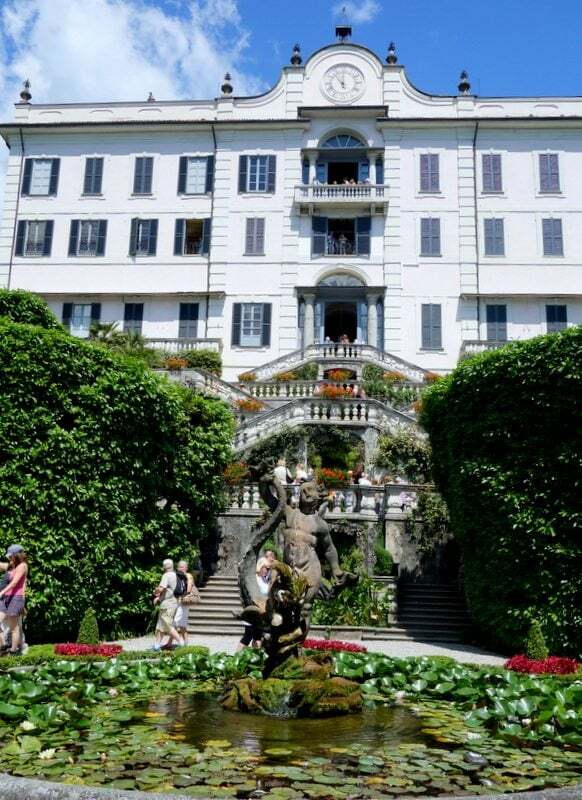 Are you looking for an organised day trip to Lake Como from Milan? Check out this day trip that departs from and returns to Milan and takes you to Lake Como, Bellagio and Varenna. You’ll also get to enjoy a lake cruise on a private boat. 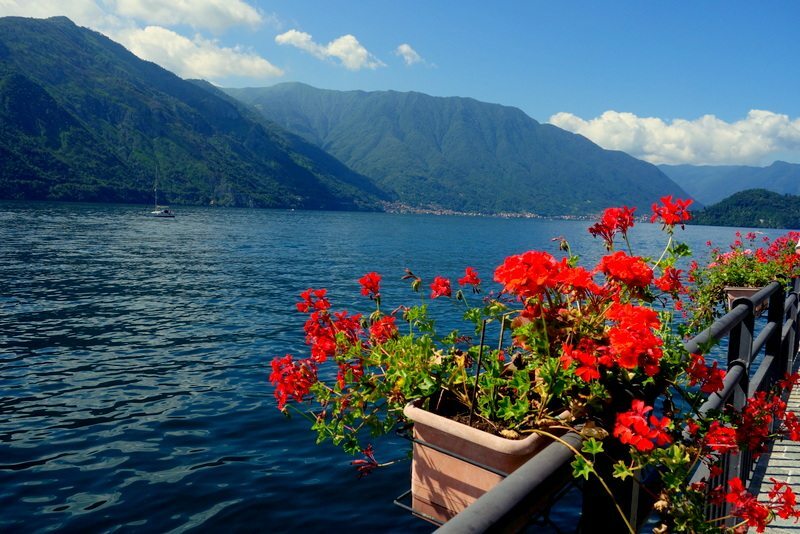 With these Como tours ,you get your own Lake Como travel guide too. Getting around the various towns at Lake Como is easy. The most common way is to take the Lake Como ferry between places like Varenna and Bellagio, Italy. There are slow boats and fast boats to get you across the lake, funiculars which take you up into the hills and also a bus system that goes along the banks of the lake. The bus is a much slower method of transport but it’s still useful if you’re visiting Lake Como without a car. Lake Como ferry prices are reasonable and you can buy passes for the ferries which I’d recommend if you plan on visiting a few towns. The ‘Free-Circulation’ ticket is available for zones 1-8 and as a 1 day or 6-day pass. You’ll likely want a zone 6 ticket which will get you everywhere from Bellagio to Como. This costs around €24 for adults and is for unlimited journeys. Taking these ferries is not only the easiest way to get around, but it’s one of the best Lake Como activities since you’ll get scenic views too! 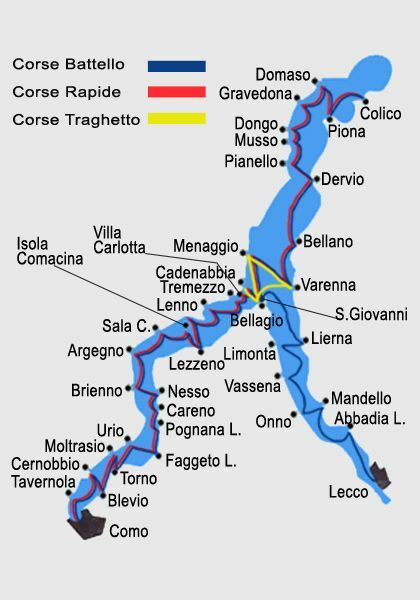 This map shows the towns around Lake Como some of which you’ll see mentioned below in the list of things to do in Lake Como. The towns I’ve gone into more detail about below are those I consider to be the best towns on Lake Como. 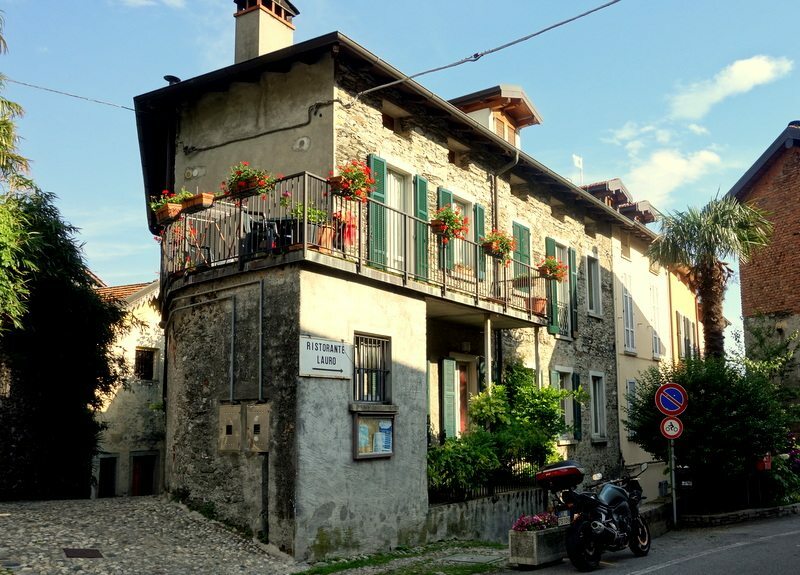 In case you’re wondering, the George Clooney Lake Como getaway is just north of Urio in Laglio! All the Lake Como cities are extraordinarily beautiful. The buildings are coloured in pink and yellow hues, the streets cobbled, and the piazzas filled with aromas coffee. Everywhere, including Bellagio, the larger of the lakeside towns, had a relaxed vibe and a certain sleepiness to it. Nobody, it seems, is in a rush to do anything; a complete contrast from London. Whilst our Lake Como holidays was nice and relaxed with plenty of good food, a spa trip and book reading, that doesn’t mean we didn’t get up to much. We did plenty of sightseeing around Lake Como and I’ve picked out some of my favourite things to do in Lake Como, Italy for you to plan your own trip there. So, if you were wondering what to do in Lake Como and where to go in Lake Como, then wonder no longer! Lake Como’s main town is right at the base of the lake. It’s pretty small and is often skipped by visitors to the area as it’s really just a gateway to the other towns. 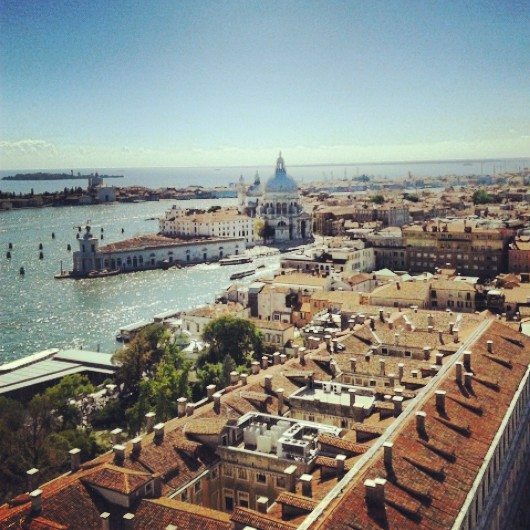 I’d recommend visiting as you’ll find classic Italian restaurants, shops and delis, a beautiful 15th Century cathedral and a gorgeous promenade along the lake. Make time to explore the historical centre of Como and gaze at the beautiful old buildings here. I’d also recommend taking the funicular up to Brunate for an amazing view of Lake Como. Of all the towns we visited, Menaggio was my absolute favourite. It was big enough to wander around for an afternoon and small enough to not be packed with other tourists. I could quite happily jump ship and move to Menaggio for a whole new life. There are plenty of shops here and cafes or you can climb the stairs to discover the remains of the original old city. Plus there’s plenty of hiking and cycling to do in the hills nearby. Or, if you’re after something more chilled out check out the Menaggio Lido. Tremezzo is across the lake from the town of Bellagio and is famous for Villa Carlotta. This massive villa and its garden are open to the public. The garden is over 14 acres in size and has over 500 plant species. Inside the villa, you’ll find art exhibitions, sculptures and tapestries. The other main site in Tremezzo is Grand Hotel Tremezzo. This hotel is the epitome of luxury. Guests here get a private beach, a heated pool on the lake and amazing rooftop rooms. Bellagio, Lake Como, is located on the triangular section that divides Lake Como into the upside down ‘Y’. Here you’ll find luxury shops, boutiques and fancy restaurants. It’s a far cry from the over the top Bellagio in Las Vegas. As the most famous town in Lake Como, Bellagio is also one of the busiest but it’s still great to wander around for a day. Top things to do in Bellagio, Italy include the gardens at Villas Melzi and Serbelloni as well as grabbing an afternoon cocktail by the water. Varenna is one of the sleepier towns around Lake Como. Since it’s where the train from Milan arrives it’s a good place to base yourself. An afternoon or morning spent hiking up to Vezio Castle is a great way to pass the time in Varenna, as is exploring Villa Monastero. Santa Maria-Rezzonico is the name of the tiny village we stayed in (info below). It made me want to move to Lake Como and set up a shop or restaurants. I imagined a life where I’d make friends with the locals, learn Italian and live under the Italian sun. 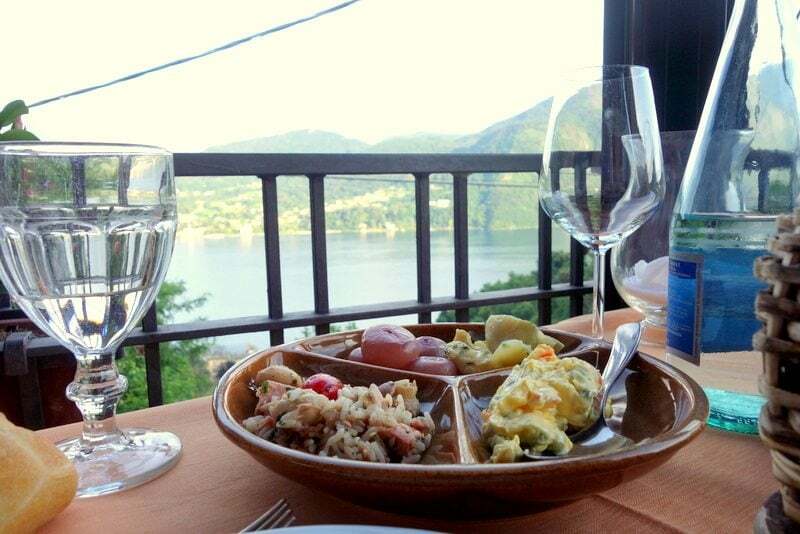 The village is home to a pizzeria with a fantastic view out over the lake. A gorgeous castle that appears to be privately owned and a small shop. 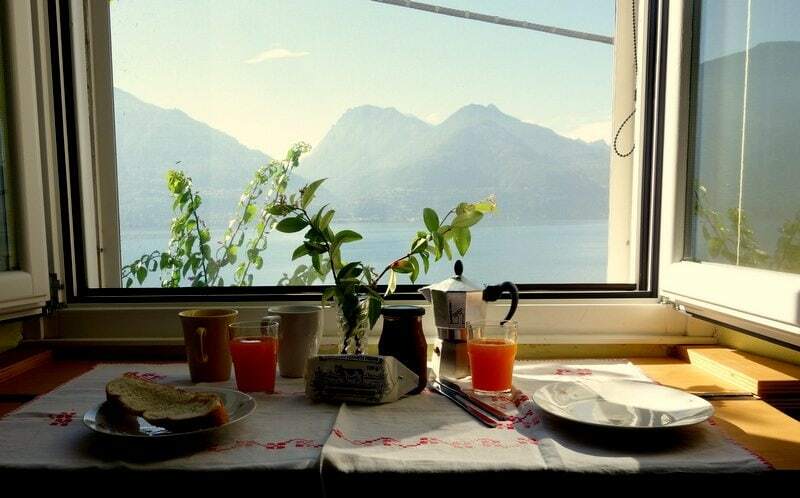 Each morning we headed up the hill from our apartment to buy fresh croissants and bread before making a pot of coffee on the stove and eating breakfast with a view of the lake. There’s also a narrow path in Santa Maria-Rezzonico which leads down towards Lake Como. It seemed to be the locals’ secret lakeside beach from which to jump into the water to cool down or take their paddle board out. I also saw a boat house which caught my attention. I dreamt up scenarios which involved me living in the cliff-side house where I’d take my boat out for a trip to a nearby town. I’d love to own this boat house on Lake Como. 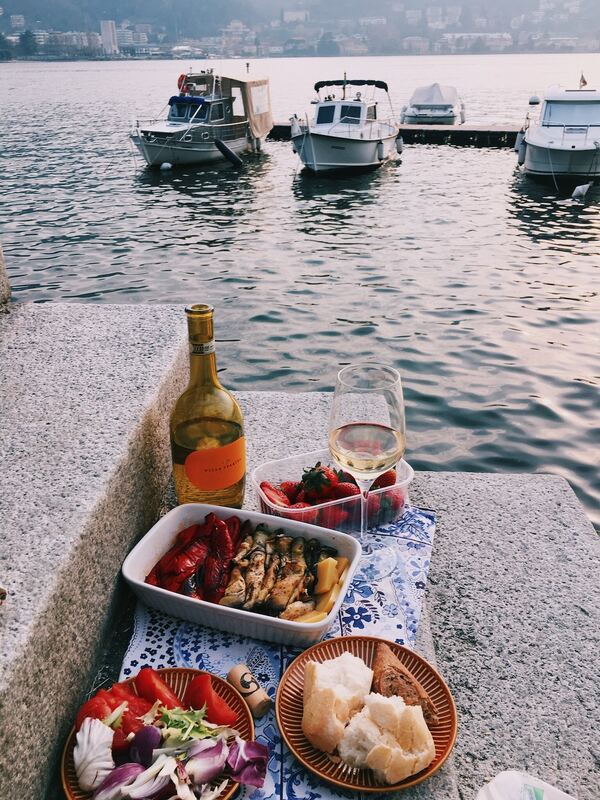 I’d spend all day jetting about on my boat and then tuck it up in here for the night. If you’re feeling flush there’s plenty of 5* hotels around Lake Como although only the most expensive rooms offer a lake view. And, whilst I’m sure the hotels are lovely inside I was a huge fan of our lake view. I think our view beat all the view of all the hotels we went past. I’d say it’s got to be one of the best places to stay in Lake Como. We stayed in Santa Maria-Rezzonico, a beautiful little village just 6km north of the larger town of Menaggio. My love for Airbnb stays strong after our stay at Lucia’s beautiful apartment with a huge window in the bedroom which looks out on to the lake. If you’re not signed up for Airbnb yet use this link and you’ll get money off your stay! The apartment is one of two in Lucia’s house. It’s completely private and has everything you’ll need for a self-catering holiday. It’s exceptionally peaceful, and access to the terrace around the back of the house offers a great outdoor space to sit with an Aperol Spritz and a good book in the evening. Just remember the mosquito spray – I got bitten badly on the first night! Here are a few of the top hotels in the following towns of Lake Como. I’ve picked these towns as I believe they make the best towns to stay in Lake Como. 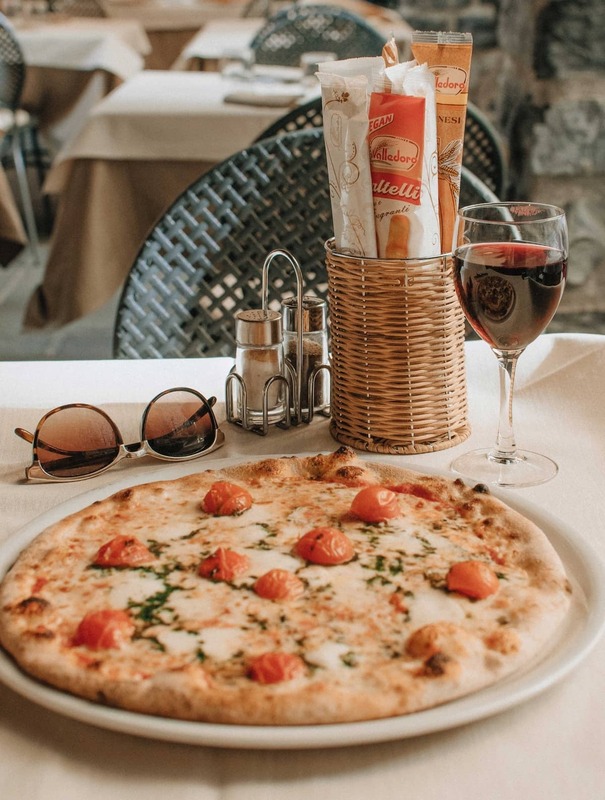 You can’t really go wrong when it comes to food in Italy. However, it’s not all pizza and pasta in the Lombardy region of Italy which is where Lake Como is. Lombardy is home to a more hearty type of cuisine. Rice, in particular, is very popular here and is often found in soups as well as risotto. Polenta is another the staple and it appeared a lot on menus around Lake Como. Cheese fans will be impressed with Lombardy’s offerings. The region is home to Gorgonzola, Tallegio, and Ribiola to name a few. Our favourite place was Restaurante La Faguirda, a little restaurant in the hills above Tremezzina. It gets very busy so book in advance or go early and enjoy a home-cooked meal with an incredible view! 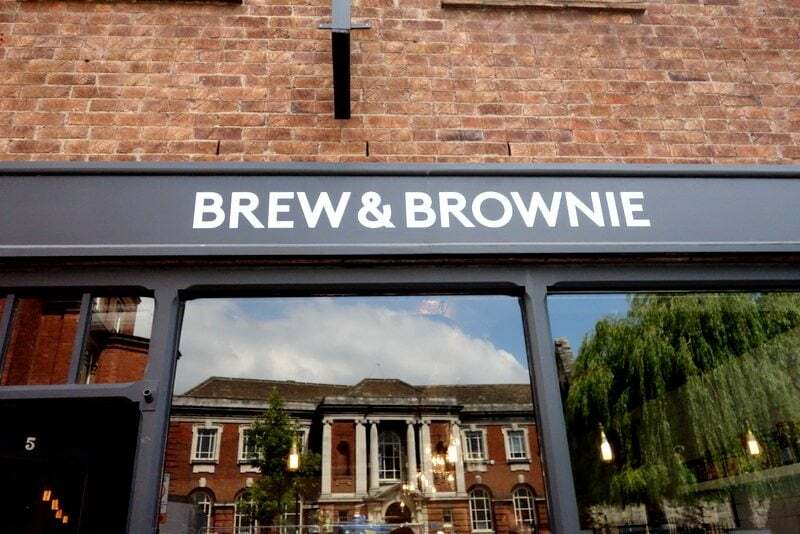 I wrote a post about our experience dining here if you’d like to know more. Last year I drove along Lake Como but didn’t stop. Should have though reading your post! It’s so relaxing! Where did you go to? Looks stunning! I cant wait to go one day! This summer we’ll be headed to Verona and Lake Garda so I am hoping its just as beautiful! I’ve been to Verona and it’s gorgeous and I’m sure Lake Garda is just as nice as Como if not better! Hope you have a great time!